The Master Series of nozzles is designed to look more like a gardening 'tool' than other nozzles. Constructed from durable metal and designed with an ergonimic GripGuard over-mold for continuous comfort during extended use. Gilmour's premium line of nozzles combine a sleek yet robust design with a wide range of features and unmatched comfort during use. Utilizing stainless steel construction on impact points, this tool is build to last. Perfect for cleaning, the nozzle has all it takes to get the job done right. 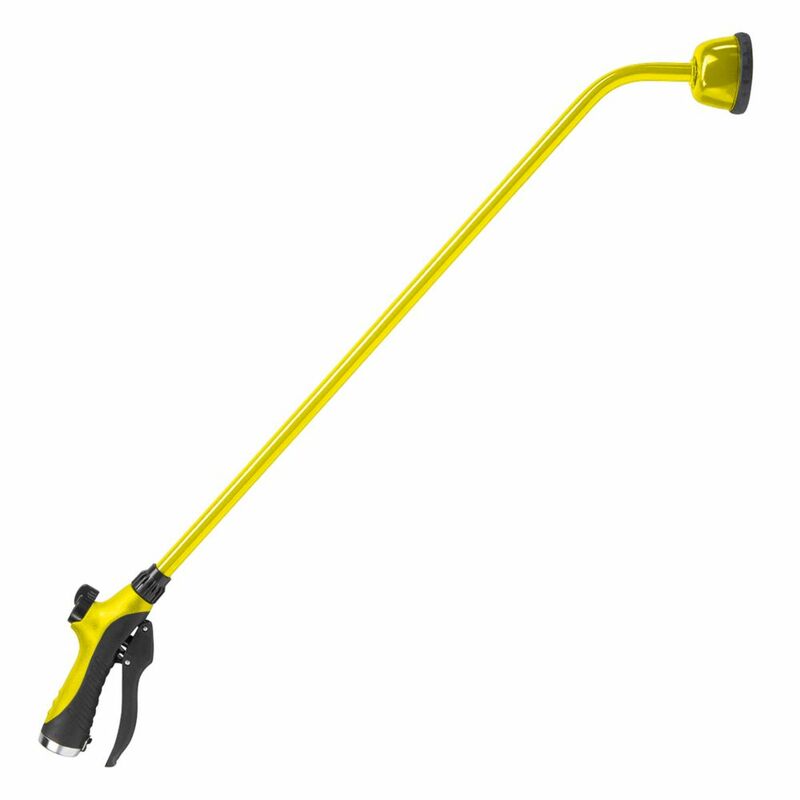 Guttermaster<sup></sup>'s Classic Telescopic Straight Waterflow Wand with waterflow brush makes washing windows and siding of your home easy. Also ideal for use washing your truck, RV, car and boat. Simply attach to a standard garden hose, turn on the water and proceed to wash. Lightweight and easy to handle. This rear trigger nozzle has seven spray patterns for versatility in watering. Spray patterns easily change with the click of the soft turret dial. The rear trigger provides maximum flow control. Seven patterns for individual watering needsInsulated hand grip helps prevent hot or cold handle.